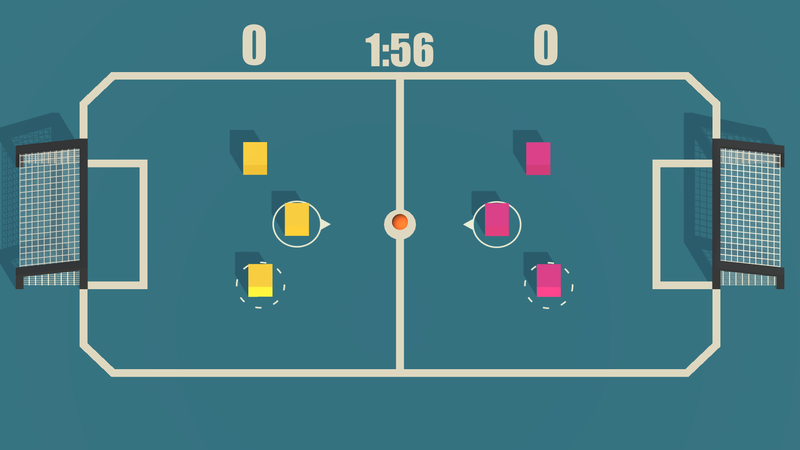 Each player has a team of three cubes but can only control one at a time! 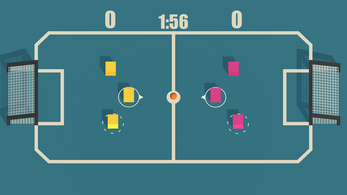 Cubes get tired from running so you'll need to switch between them to break away, defend, and set up plays. Their positions aren't reset after goals so use the time before the ball respawns wisely! Made mostly during IGI Game Jam 1 https://itch.io/jam/igi-1.